One thing I have written about before, and I even mention in the manual, is that the right way to set up a car is to make a few small changes, and not to make huge ones. With a good, balanced car, like the White Edition LV, you can go from a loose, hard to drive car, to a stable easy one by only changing a swaybar 0.1mm, camber 1 degree, and a change in rear arm height of 0.5mm. That’s not a lot of changes at all. You might say, isn’t that a bad thing? Well, yes and no. The good cars out there are like that. 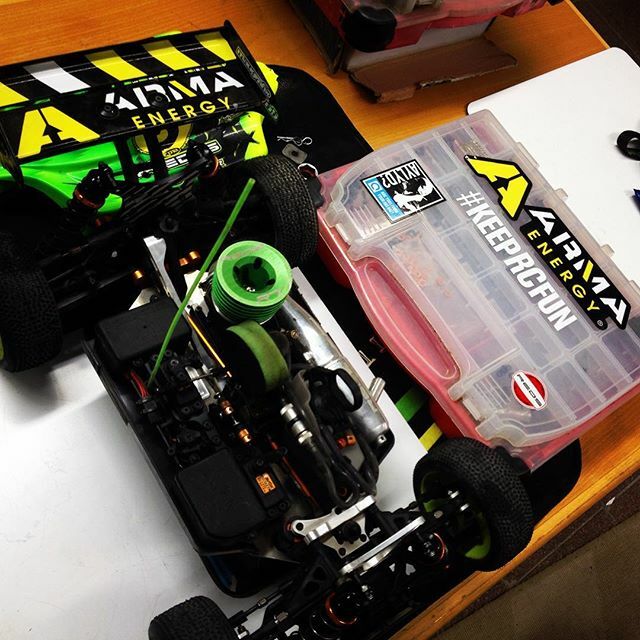 Ever wonder why the Kyosho guys always run almost the same setup? The changes aren’t significant that they do, but sometimes they are dialed, and sometimes they are off the pace. And looking at their setups, it’s almost like nothing changes, only minor changes to camber, rideheight, downtravel, swaybars, springs. That’s because the car is good, and that’s where the White Edition LV is now. Most people would go overboard, changing links, diff oils, shock springs, tyres, 3 deg camber, adding weight, different wing….Take it easy. If you start from a setup that I have posted, to make it suit you, all you need to do is make small changes. Trust me. If you don’t know what to do, ask me. Today I was at Revelation and my car was a bit nervous and loose for my liking, so I lowered the rear arm 0.5mm, I put a 2.6 rear swaybar on from a 2.5, and I reduced rear camber buy maybe 0.5 deg. The car was suddenly a lot better and really good for me. If I wanted to calm it down even more, I would have done some more minor changes like that, I would not have made it a whole different car! Soon it’s time for Anaheim rd1. Are you going to any of the supercross races? I have a PR sb401 that i race on carpet. Do you have any good setups for that?